This PDF 1.6 document has been generated by / EPSON Scan, and has been sent on pdf-archive.com on 23/12/2018 at 14:11, from IP address 45.41.x.x. The current document download page has been viewed 47 times. File size: 20.2 MB (33 pages). that you feel after doing the job yourself. The manual is divided into Chapters. for any errors in, or omissions from, the information given. make the procedure easier to understand. procedure where the Warning is found. Not heeding a Warning can result in personal injury. transaxle, driving the front wheels via independent driveaxles. power-assist available as an option. driver's side of the vehicle (see illustration). letter design* tion is the 10th digit. transmission parts, trim pieces, etc.). the source - do not invalidate the warranty! repair job is thorough and complete. and must be replaced with new ones. If a bolt or stud breaks off in an assembly, it can be drilled and removed with a special tool commonly available for this purpose. as aluminum), thin sheet metal or plastic. metric hardware, since they cannot be interchanged. 10.9 are comnonly used on automobiles. greater the strength of the nut. ends according to property class (grade). metric bolts), while smaller studs carry a geometric code to denote grade. a non-metric fine thread fastener only. referred to as USS sizes. value chart is presented here as a guide. grades can tolerate higher torque values. shown in the appropriate Chapter. If a specific pattern is not given, the following procedures can be used to prevent warping. fasteners, the procedure would be reversed. that the parts go back together properly. sketches or take instant photos of components before removal. or tape to identify the contents. of masking tape so they can be easily reconnected. or pressure contained in an assembly. that every fastener has been removed. keep in mind that extra clean up will be necessary if the Wood splinters. reduces the ;hance of gouging the part. most applications, a non-drying (or semi-drying) gasket se: ler should be used. leak. This is especially true for radiator hoses. outside of the spigot to simplify installation. from the spigot. If this must be done, be careful that the metal connection is not damaged. replace them with screw-type clamps whenever a hose is removed. maintenance and repair, it is a wise one. 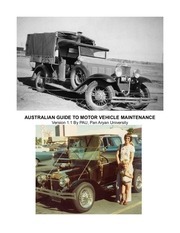 the simpler jobs performed on a vehicle. buying additional tools a.s they are naeded. felt that the expense is justified by the frequency of use. offer the advantages of both types of wrench. and a 1/2-inch drive set. and a set of good quality drill bits. very economical to purchase many of them. be obtained from a tool rental shop on a temporary basis. tools are included in the text of this manual. department or an automotive repair shop. tools that will actually be used. greater than the initial cost of quality tools. get lost during a test drive. working with luminum parts, because aluminum is so s&gt; ft that it easily strips out. bolt, sere v or stud. remove tt e jam nut and bolt. thread re/, &lt;air kit like Heli-Coil or Slimsert. if you wreck ar| expensive part. some sort of suitable work area is essential. as well as the lubricants, fluids, cleaning solvents, etc. which soon become necessary. c) Make sure that the booster battery is the same voltage as the discharged battery in the vehicle. vehicle, the two vehicles MUST NOT TOUCH each other. f) Wear eye protection when jump starting a vehicle. will not contact the fan, drivebelt of other moving parts of the engine. The vehicle should be on level ground. changed. Set the parking brake. point on each side of the vehicle (see illustration). vehicle is loweied or it could slip off the jack. tighten the lug luts in a diagonal pattern. front wheels on the ground. to the front or re ar bumper may occur. neutral and release the parking brake. be used at all times. variety of products ranging from cleaning solvents and degreasers to lubricants and protective sprays for rubber, plastic and vinyl. gum up. Because of this film it is not recommended for use on electrical components. Demoisturants remove water and moisture from electrical components such as alternators, voltage regulators, electrical connectors and fuse blocks. They are non-conductive and non-corrosive. various weights (viscosity ratings) from 0 to 50.
number of weights from 5W-20 to 20W-50. dilute in the presence of water. engine oiling system begins to function. rubber, plastic, vinyl and nylon parts. contacts in locks such as the ignition switch. prevent future rusting or freezing. cures only after the assembly of parts, sealing them together. liquid and as a wrap-around tape. against using additives with their oils. Gas additives perform several functions, depending on their chemical makeup. remove condensation from the gas tank. and pressure encountered in brake systems. the use of different types of wax and polish. carry out on your vehicle. on a jack- it may fall. cloth and release the pressure gradually. them to remain on your skin. DON'T inhale brake lining dust - it is potentially hazardous (see Asbestos below). tools which may slip and cause injury. alone - get someone to help you. the vehicle while you are working on it. etc. and when working under a vehicle. of the way of itj-ioving parts. working load t ting adequate for the job. when working alone on a vehicle. on any point, j et professional advice. the rear of the vehicle outside the work area. to contact clothing or skin. deposits from entering your eyes. health. If in dqjubt, assume that they do contain asbestos. part of the fu system or electrical system. much higher and could prove fatal. corrosion as necessary (see Chapter 1). won't run, the battery is discharged. park (P) or Neutral (N). ignition switch (on steering column). and inspect pinion and driveplate (Chapter 2). Starter solenoid faulty (Chapter 5). Starter motor faulty (Chapter 5). Ignition switch faulty (Chapter 12). 10 Starter relay faulty (Chapter 5). adjustment or defective (Chapter 6). starter (Chapter 5) and inspect. Air filter dirty (Chapter 1). malfunction (Chapters 4 and 6). Defective ignition coil(s) (Chapter 5). Dirty or clogged fuel injector(s) (Chapter 4). the starting circuit (see previous Section). the ignition coil or faulty coil (Chapter 5). failure (Chapters 4 and 6). 15 Defective MAF sensor (Chapter 6). Fuel not reaching the fuel injectors. Defective spark plugs (Chapter 1). side of the encj ine and inspect. Loose or damaged wire harness connections at dis ributor, coil or alternator. attached prop* rly and in good condition. Insufficieht fuel pressure (see Chapter 4). malfunction (C lapters 4 and 6). soapy water solution will also detect leaks. Check the intake manifold gasket surfaces. valve (see Chapters 1 and 6). Air filter clogged (Chapter 1). Timing chain(s) worn (Chapter 2). Camshaft lobes worn (Chapter 2). Ignition timing out of adjustment (Chapter 5). Spark plugs faulty or not gapped properly (Chapter 1). Faulty spark plug wires (Chapter 1). connections. Check as described in Section 9. Low or uneven cylinder compression. Check as described in Chapter 2. Sticking throttle linkage (Chapter 4). connections. Check as described in Section 8. Battery cables loose or corroded (Chapter 1). Alternator not charging properly (Chapter 5). or bulb holder (Chapter 12). or clean system (Chapter 4). Incorrect ignition timing (Chapter 5). Defective spark plug wires (Chapter 1). pressures. Check as described in Chapter 2. Weak or faulty ignition coil(s) (Chapter 5). Weak or faulty ignition system (Chapter 5). Vacuum leaks at intake manifold or vacuum hoses (see Section 8). 10 Dirty or clogged fuel injector(s) (Chapter 4). 11 Leaky EGR valve (Chapter 6). operation of the fuel pump and for restrictions in the fuel filter and lines (Chapter 4). vacuum hoses. Check as described in Section 8. Faulty ignition coil(s) (Chapter 5). Brakes binding (Chapters 1 and 10). Automatic transmission fluid level incorrect, causing slippage (Chapter 1). the fuel system (Chapters 1 and 4). 11 Vacuum leak at intake manifold or vacuum hoses (check as described in Section 8). 12 Dirty or clogged fuel injector(s) (Chapters 1 and 4). 14 Restricted exhaust system (Chapter 4). Ignition timing incorrect (Chapter 5). vacuum hoses (see Section 8). Restricted air filter (Chapter 1). Fuel pump or pressure regulator defective (Chapter 4). Idle speed incorrect (Chapter 4). impurities in the fuel system (Chapter 1). of the proper octane rating. Incorrect spark plugs (Chapter 1). Restricted exhaust system (Chapter 4). Idle speed too high (Chapter 4). Incorrect spark plug heat range (Chapter 1). the combustion chambers (Chapter 2). Check for causes of overheating (Section 27). Oil pump worn or damaged (Chapter 2). Engine overheating (refer to Section 27). Clogged oil filter (Chapter 1). Clogged oil strainer (Chapter 2). Loose oil filter (Chapter 1). 10 Worn or damaged piston rings (Chapter 2). worn or damaged (Chapter 2). 12 Worn or damaged valves/guides (Chapter 2). Dirty or clogged air filter element (Chapter 1). Incorrect idle speed (Chapter 4). Dirty or clogged fuel injectors (Chapter 4). Thermostat stuck open or not installed. Fuel tank overfilled. Fill only to automatic shut-off. Emissions Control system clogged (Chapter 1). Control system lines (Chapter 6). one plug at a time and crank the engine over. replace the crankshaft (Chapter 2). problem piston is described in Paragraph 1. Welter pump with a new one (Chapter 3). for inspection (see Chapter 2). Insufficient coolant in system (Chapter 1). Cooling fan electrical problem (Chapter 3). Faulty th 3rmostat (Chapter 3). clamps (Chap :ers 1 and 3). Water p ump seal defective (Chapters 1 and 3). Leak at « ngine oil cooler (Chapter 3). Leaking cylinder head gasket (Chapter 2). Too much coolant in system (Chapter 1). Coolant boiling away because of overheating (Chapter 3). Internal or external leakage (Chapter 3). Faulty radiator cap (Chapter 3). Inoperative water pump (Chapter 3). Restriction in cooling system (Chapters 1 and 3). the vehicle should be taken to a dealer service department or a transmission shop. air flow to the transaxle. flow will not blow the leak far from its source. a) Pan (Chapters 1 and 7). b) Filler pipe (Chapter 7). c) Transaxle oil lines (Chapter 7). d) Speedometer gear or sensor (Chapter 7). other than the one actually being used. c) Vehicle moves when in Park. Transmission Range Sensor (Chapter 7). replace as necessary (Chapter 8). or replace as necessary (Chapter 8). the fluid as described in Chapter 1. Incorrect tire pressures (Chapter 1). Unmatched tires on same axle. Restricted brake lines or hoses (Chapter 9). Malfunctioning brake assembly (Chapter 9). Loose suspension parts (Chapter 10). 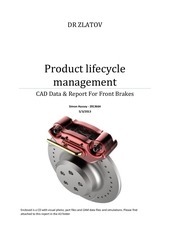 Loose brake calipers (Chapter 9). and correct as necessary (Chapter 8). Restricted brakes lines or hoses (Chapters 1 and 9). Sticking pistons in calipers (Chapter 9). Binding brake pedal mechanism (Chapter 9). Defective brake disc (Chapter 9). Partial brake system failure (Chapter 9). Excessively worn rear shoes (Chapter 9). Excessively worn pads (Chapter 9). cylinders seized or sticking (Chapter 9). New pads installed and not yet seated. Partial system failure (Chapter 9). Air in hydraulic lines (Chapter 9). Master cylinder defective (Chapter 9). cylinder pistons, loose, damaged or disconnected brake lines (Chapter 9). Check the parking brake (Chapter 9). gear for loose fasteners and wear. Mismatched or uneven tires (Chapter 10). Broken or sagging springs (Chapter 10). Front wheel alignment incorrect (Chapter 10). Front brakes dragging (Chapter 9). Sagging or broken springs (Chapter 10). Worn shock absorber (Chapter 10). Blister or bump on tire (Chapter 1). Improper shock absorber action (Chapter 10). Tire or wheel out-of-balance or out-ofround (Chapter 10). Loose or worn wheel bearings (Chapter 10). Worn tie-rod ends (Chapter 10). Excessive wheel runout (Chapter 10). ends and steering gear assembly (Chapter 10). Low tire pressure (Chapter 1). Lack of lubrication at balljoints and tierod ends (Chapter 10). Binding in steering column (Chapter 10). Front w eel alignment problem (Chapter 10). Lack of ubrication at balljoints and tieends (Ch ipter 1). Loose u &gt;per strut mount (Chapter 10). Worn tie •rod ends (Chapter 1 0). Loose s abilizer bar (Chapter 10). Loose w leel lug nuts (Chapter 1). Loose s ispension bolts (Chapter 1 0). Mismat hed or uneven tires (ChapterlO). Worn sh jck absorbers (Chapter 1 0). Broken ir sagging springs (Chapter 10). Front w leel alignment incorrect (ChapterlO). Leaking wheel cylinder or caliper (Chapter 9). Warped arake discs (Chapter 9). Malfunc ion in the air-suspension systern (if equipp ed) (Chapter 10). Worn shock absorbers (Chapter 10). Malfunction in the air-suspension system (if equipped) (Chapter 10). Excessive tire or wheel runout (Chapter 10). Inflation pressures incorrect (Chapter 1). toe-in or positive camber). Have professionally aligned. Suspension arm bent or twisted (Chapter 10). or excessive negative camber). Have professionally aligned. Loose or damaged steering components (Chapter 10). Wheel bearings worn (Chapter 10). Tie-rod end loose or worn (Chapter 10). Steering gear loose (Chapter 10). Steering gear clamps loose (Chapter 10). Ignition system component check and replacement..
Windshield wiper blade inspection and replacement. lubricant specifications, so check with your local auto parts store for current recommendations. * All capacities approximate. Add as necessary to bring to appropriate level. resale in mind, many of the maintenance procedures may I se performed more often than recommended in the following so ledule. We encourage such owner initiative. the goals of maximum performance, economy, safety and reliability in mind. many critical fasteners as time allows. job, seek advice from a mechanic or an experienced do-it-yourselfer. to represent a combination of individual operations rather than one specific procedure. the need for additional work will be minimized. the regular routine maintenance intervals. upper part of the engine, resulting in an inaccurate reading on the dipstick. again. Note the oil at the end of the dipstick. section of the dipstick (see illustration). cap and tighten it by hand only. system to maintain the correct level. scalding liqUi d could cause serious injury. further, then remove the cap. be replaced at the specified intervals. or more below the MAX line. right (passenger) side of the engine compartment (see illustration). problems in the steering and suspension systems before major damage occurs. vehicle to a tire shop or service station to correct the problem. and bent or damaged wheel. This file has been shared by a user of PDF Archive. Document ID: 01903344.